In a retreat in 2014, Almine talked about how we must overcome the tyranny of gravitation in the meridians. “Why is it that we have not been practising the miracles and the interdimensional life that is our birthright to its fullest extent? Many reasons – but the one Almine wished to discuss pertains to obstructions in the meridians – and very specifically in the 12 meridians and the misuse and inactive use of the 8 extraordinary meridians have bound us to gravity. Gravity puts us firmly into the physical and the belief systems associated with mortal boundaries. (See note below). So as you can see, the many months of working on the meridians, making available the set so that everyone can do them for themselves and their loved ones. Even just doing feet for someone in your household for the meridian points on the feet. (My note, see the protocol using the Jingwell points here). We have been preparing for this time – this time being the time of the Rune Masters who bridge the known and the unknown and the time of the practitioners of High Magic – (which is the right for all of us) which bridges the unknowable and takes through the unknown all the way through the physical – which is the unknown. It is imperative that gravity loses its tyranny and becomes a tool of navigation between these worlds. It has to be done by understanding and mastering the law of levitation. Not just so that you can levitate – but it is a way of living (the same way that the principles of gravity produces aging and death and decay). The principle of levitation produces youthening and the reversal of aging. How to study levitation? You already have one of the tools. It is the tool of praise. 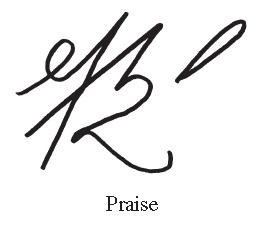 Praise can be so strongly felt. The times that Almine has levitated it has been so intent on working with hidden realms that the earth could not hold her or she was in very deep states of praise. So we can begin with that principle. NOTE on Gravity: Almine is referring to the gravity of density rather than of gratitude. As we release the tension of opposites for individuation, and replace it with the (sexual) tension of creative partnership with life through inspiration, then gravity that does not keep us bound is achieved through continual gratitude–a power of omni-perspective perception that expands the contracted vision of physicality. Wow – this post left me so intrigued that I was inspired to do more research into the hummingbird. For everything to function at such a high rate, it needs an advanced respiratory system. Most people and animals inhale and then exhale. Most birds do not. Instead, they are able to receive an almost continuous supply of oxygen. Hummingbirds will inhale air into an air sac. When it goes to exhale from one of two lungs, the oxygen in the air sac will move into one lung, providing fresh oxygen. Once it is done exhaling, it will inhale more fresh air into the air sac as the body is using the previous breath. This airflow continues in this circular process, and allows the bird to receive fresh air almost constantly. This process is incredibly complicated (Click Here For More Info On This). Breathing this way does more than just provide oxygen though. The air sacs that fill up with air make the bird lighter for flying. In addition, this continuous air supply cools the hummingbird off by bringing in cool air and venting out body heat. 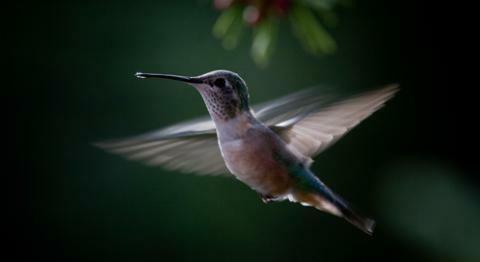 In other words, the hummingbird’s respiratory system provides oxygen, helps with flight, and is an air conditioner! And to top it all off, hummingbirds will breathe up to 250 times per minute. This is beyond fascinating and speaks to what Ciara and I have been exploring with “what happens to spirit to when soul and body merge”. Rudolf Steiner said that in ancient times (when pineal gland was a eye outside the body) man was a being of warmth…best way to explain is he exchanged warmth with the environment just as we now exchange air. This warmth element was man’s’discernment’…the Pineal gland was able to know what was life-enhancing or not, by the warmth that beings exuded. Steiner wnt so far as the say that man followed the Infinite through this faculty. Then the pineal receded into the head, and its sensing capacities separated into many senses (smell, taste, touch, etc.) He identified 12 senses, but several of them would be part of the sense organs of the black light that Almine has identified. But bottom line is that as we internalize breath, some faculty will develop in our bodies to hold this substance in a new way…So very interesting post on hummingbirds Elyse!